The interior of Holiday Rambler motorhomes offers distinct living zones that maximize and define interior space like no other RV. Whether you're full-time on the road or just planning a weekend getaway here and there, Holiday Rambler lets you define your own adventure. Holiday Rambler motorhomes are designed with driver convenience in mind. Get a clear view of either side of the motorhome with sideview cameras. CD sound system and climate control for your enjoyment. The auxiliary emergency start assist can be operated using a handy switch located on the dash. No matter where your journeys take you, Holiday Rambler makes you feel right at home. Spacious slide-outs create more living space and allow for innovative and flexible floor plan design. Beautiful hardwood cabinet doors add a quality look throughout the interior. Prepare delicious meals thanks to a large refrigerator/freezer and three-burner cooktop with an oven. The microwave oven features an electronic touch pad and the handy roof vent fan ensures you can clear away any lingering cooking odors. The bathroom provides residential-style touches throughout, such as a molded ABS shower with surround and a residential-style faucet with a large sink while a skylight provides natural light. Your safety and the safety of your passengers is our top priority. That's why we've designed several standard safety features, including three-point seat belts at the driver and front passenger seats. Smoke and carbon monoxide detectors and GFI circuit protection are included in all Holiday Rambler vehicles. Holiday Rambler motorhomes are not only designed for a seamless, beautiful look inside and out, but also with quality engineering that ensures it will be an ideal companion mile after mile. 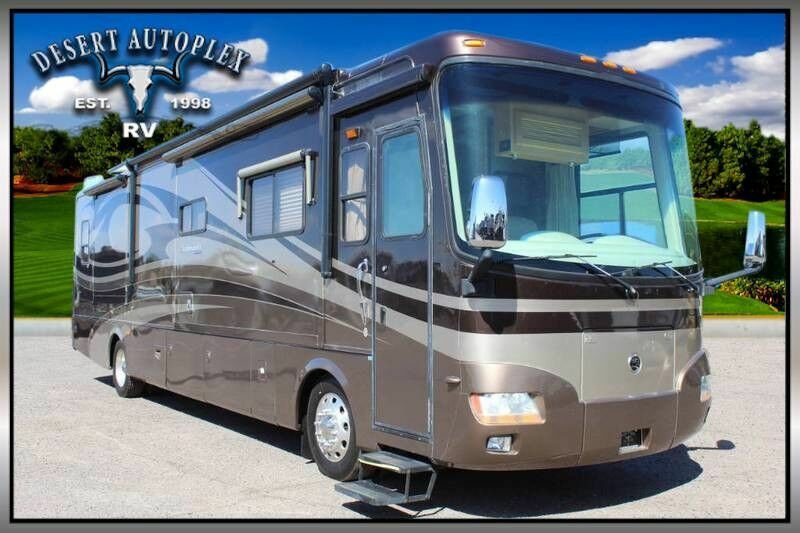 Don’t miss your opportunity to own this Brand New 2007 Holiday Rambler Ambassador 40PDQ Quad Slide Diesel Pusher Motorhome. This is your chance to own this coach for a great value.